A medical home recognizes the family as a constant in a child's life, emphasizes partnership between health care professionals and families, and ensures children have easy and timely access to appropriate, individualized and comprehensive preventive care with a focus on integrated services and positive long-term outcomes. 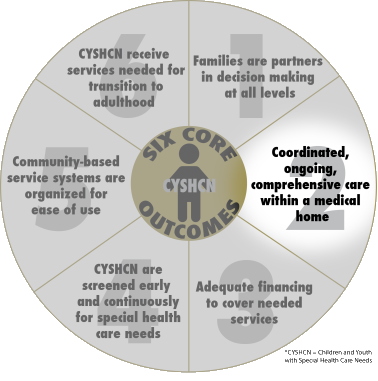 A medical home should be accessible, family-centered, continuous, comprehensive, coordinated, compassionate and culturally effective. ( © ) 2019. All Rights Reserved. | Website by BeOnline Inc.